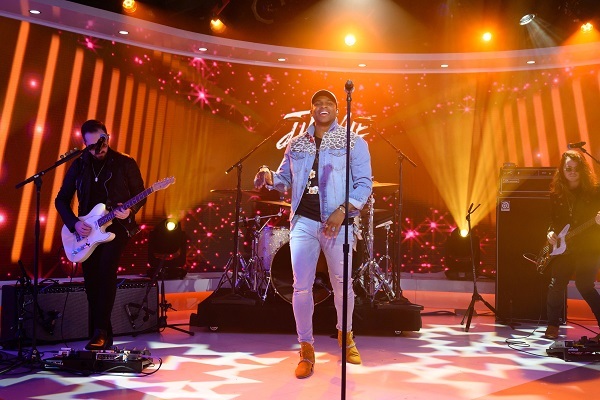 Breakout country star Jimmie Allen made his return this week to the ten o’clock hour of NBC’s TODAY with Kathie Lee and Hoda for the fourth time in less than two months to participate in his second “Guys Tell All” panel alongside former “Bachelor” Ben Higgins, comedian Chuck Nice and celebrity trainer Don Saladino. The “Best Shot” singer will soon announce his next single, but in the meantime and at the requests of the fourth-hour co-hosts, he performed “Like You Do” off his full-length studio album Mercury Lane. Allen’s debut single “Best Shot” currently occupies the top slot on both Billboard and Country Aircheck‘s Mediabase charts as the most-played song on Country radio for a second consecutive week after a 41-week climb on the charts.